PCWin Note: Snosh 2.2 download version indexed from servers all over the world. There are inherent dangers in the use of any software available for download on the Internet. PCWin free download center makes no representations as to the content of Snosh version/build 2.2 is accurate, complete, virus free or do not infringe the rights of any third party. PCWin has not developed this software Snosh and in no way responsible for the use of the software and any damage done to your systems. You are solely responsible for adequate protection and backup of the data and equipment used in connection with using software Snosh. Tipard BlackBerry Video Converter - Tipard BlackBerry Video Converter can convert MPV, MOD, TOD, HD video, FLV video to BlackBerry AVI, MP4, WMV, 3GP, etc. format. As BlackBerry Music Converter, it can convert any popular audio format and extract audio from video to MP3, AAC, WMA, etc. Tipard Video Converter Platinum - It can convert almost all video formats including MPEG, FLV, MP4, 3GP, MOV, AVI, etc., and even the High Definition video files(HD videos), or convert various audio files and also extract audio from videos. It also can convert videos to 3D formats. Aunsoft SWF Converter - Aunsoft SWF Converter can convert SWF file to video of popular formats, such as avi, mpeg, 3gp, mp4, mov etc. With Aunsoft SWF Converter, you can enjoy the original effects of your Flash files on your PC, iPod, PSP, iPhones, DVD player. FlashMP3-MP3 to Flash - FlashMP3 help you: Convert mp3 to flash; Record your sound, convert to mp3 or convert your sound to flash directly, publish it on the web, and share it with your friends. Okdo Pdf to Swf Converter - Okdo Pdf to Swf Converter is the most advanced and powerful PDF to swf video converter. With the professional converter, you can batch convert your pdf file to flash video file. It is easy to operate. Okdo Doc Docx to Swf Converter - Okdo Doc Docx to Swf Converter is the easiest and professional doc/docx to flash video converter. It can help you convert your files as doc/docx files in batches. Okdo Ppt Pptx to Swf Converter - Okdo Ppt Pptx to Swf Converter is the easiest and powerful ppt/pptx to flash video converter. Own it, you can play and watch your ppt/pptx file with a flash player. It can help you convert your ppt/pptx files in batches. Okdo Jpeg to Swf Converter - Okdo Jpeg to Swf Converter is the easiest and powerful jpeg to flash video converter. With it, you can view image file with a flash player. It can help you convert your jpg, jpeg image files in batches. 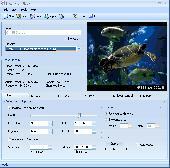 Okdo Xls to Swf Converter - Okdo Xls to Swf Converter is the easiest and powerful xls to flash video converter. It can help you convert your xls files in batches. The output quality is super excellent and the processing speed is very fast. Okdo PowerPoint to Swf Converter - Okdo PowerPoint to Swf Converter is the easiest and professional PowerPoint to flash video converter. Own it, you can play and watch your PowerPoint file with a flash player. It can help you convert your ppt/pptx/pptm files in batches. Aniosoft iBackup - Aniosoft iBackup is an easy to use iPod/iPhone utility designed to help you backup all your files from your iPod/iPhone/iTouch. Recover lost or missing music or backup and restore all of your iPod/iPhone/iTouch content. DeskWatcher - Is somebody else using your PC? Worried about what your kids, students or employees are doing on their computers? You have a right to... and with DeskWatcher you can do something about it. AUDIOzilla - Audiozilla is complete audio converter software that works via a right-click.